Cox Powertrain has announced an agreement with California based Boatswain’s Locker as its distributor for Cox diesel outboards for western North America. Boatswain’s Locker is the latest US distributor to be announced by the British diesel engine specialist as they conclude their line-up of US and European distributor networks ahead of the launch of its first high powered diesel about engine, the CXO300 in 2018. 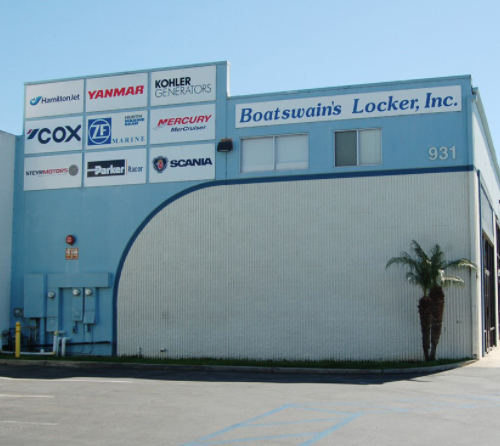 Boatswain’s Locker is a leading wholesale supplier of recreational and commercial marine propulsion engines, generators, and related equipment for the Western US and Canada, Hawaii, Mexico, and the Pacific. Located in Costa Mesa, California the company represents a number of leading brands such as Yanmar, Scania, Steyr, HamiltonJet, Kohler Marine Generators, and ZF Transmissions, as well as leading accessory lines for all related systems. The company serves the recreational marine market through an extensive and well established Dealer network, and serves the commercial and government marine markets both directly and through dealers. Combining Boatswain’s Locker’s long history of successful marine engine distribution and service with the technical and marketing prowess of COX Powertrain Limited, the strong partnership will make the introduction and future growth of the game-changing CXO300 a big success in western North America.